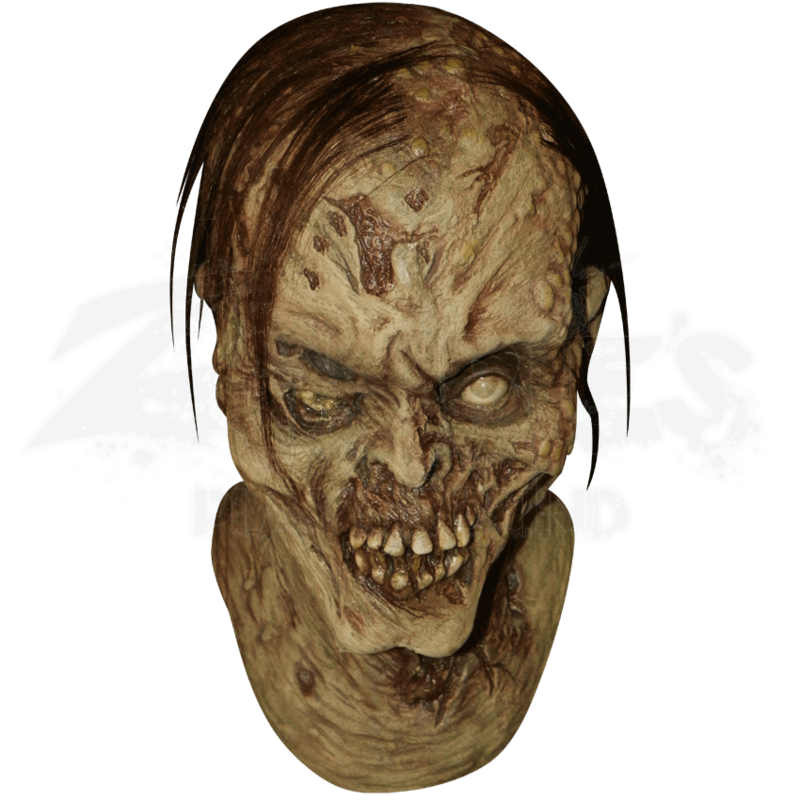 The Zombinski Mask is setting a new standard for all modern zombie masks. With this mask, you will look like a shockingly dreadful zombie that has just crawled out of its watery grave, ready to hunt humans in the realm of the living. This incredibly detailed mask is sure to scare just about anyone. The latex mask is designed to fit over the entire head and neck when worn. It features stringy hair, open boils and wounds, rotting skin, and green ooze coming from the mouth. One eye is collapsed in and the sinister expression with exposed teeth is absolutely frightening. 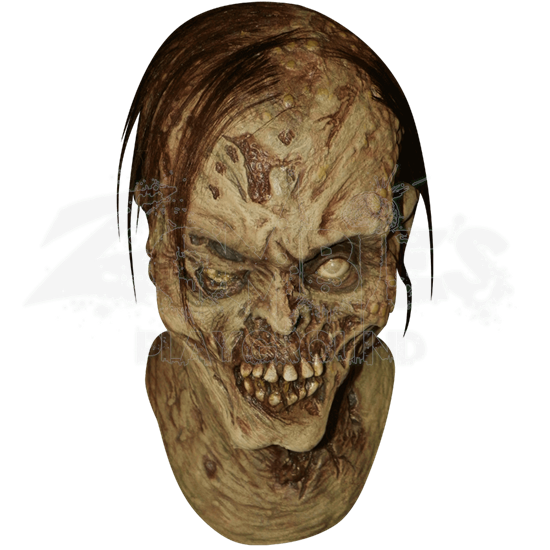 This is an excellent mask to help enhance your Halloween costume or zombie event.